Those Sour Patch Kids keep ringing up the wins! 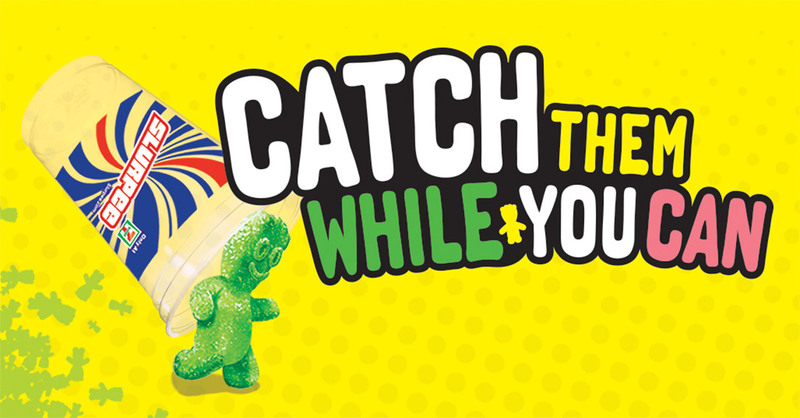 Our Sour Patch Watermelon Slurpee campaign just earned a Gold Reggie at the 33rd Annual Reggie Awards for marketing campaigns that innovate, challenge the status-quo, and drive results. When amazing partners are able to put two pop culture icons together in such a singular shopper experience, stand back! Phoenix Creative just took home a Silver Effie Award for our role in creating an award-winning shopper experience for the Sour Patch Kids Watermelon Slurpee campaign. It was an honor to work with Mondelēz International, 7-Eleven, Inc. and their partner agencies to lead one of the largest, most successful campaigns for a limited time Slurpee flavor in the drink’s 50-year history.